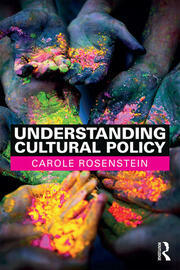 Carole Rosenstein studies cultural policy. cultural democracy, cultural equity, and the social life of the arts and culture. She has led commissioned research for the National Endowment for the Arts, the Institute for Museum and Library Services, the American Academy of Arts and Sciences, and the Urban Institute. Dr. Rosenstein holds a PhD in cultural anthropology, and she employs qualitative approaches and interpretation as well as quantitative data and analysis in her work. Carole Rosenstein has in-depth, on-the-ground knowledge of arts centers all around the U.S., having led field studies in New York, Los Angeles, Chicago, Houston, San Fransisco, Boston, Seattle, Santa Fe, New Orleans, and coastal Maine. Carole teaches courses in Arts and Cultural Policy, Cultural Planning, Research in Arts Management, and the Arts in Society to Arts Management graduate students. She has been teaching since 2008. In 2007, Carole was Rockefeller Humanities Fellow in Cultural Policy at the Smithsonian Center for Folklife and Cultural Heritage in Washington, DC. She used that time to work on cultural redevelopment projects in post-Katrina New Orleans. From 2000-2007, Carole worked on the cultural policy portfolio at the Urban Institute, where she was a research associate in the Center on Nonprofits and Philanthropy. The Urban Institute is home to the National Center for Charitable Statistics (NCCS), which holds IRS Form 990 data for all nonprofit organizations in the U.S.
From 1990-1995, Carole took time away from the academy to travel and work as a campaigner for Greenpeace.